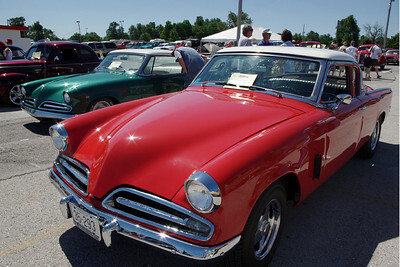 Snaps from the 47th Annual Studebaker Drivers Club Meet, Springfield, MO. June 23, 2011. 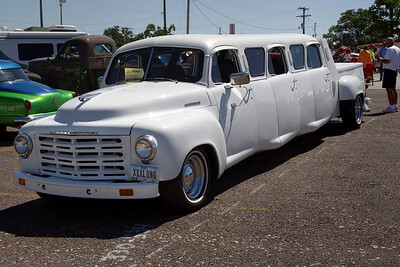 Studebakers, baby! 47th Annual Studebaker Drivers Club Meet, Springfield, MO. June 23, 2011. 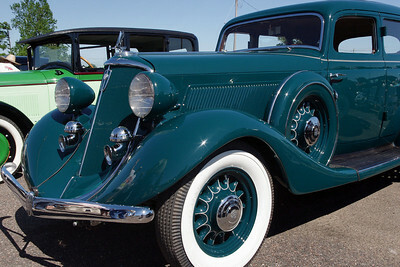 1934 Studebaker Commander. 47th Annual Studebaker Drivers Club Meet, Springfield, MO. June 23, 2011. 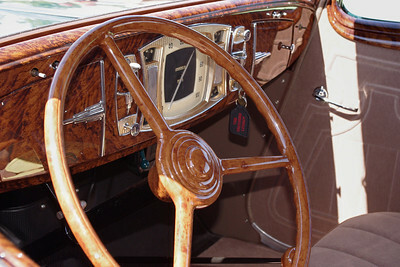 Wood dash and steering wheel detail; 1934 Studebaker Commander. 47th Annual Studebaker Drivers Club Meet, Springfield, MO. June 23, 2011. 1951 Studebaker Champion; 47th Annual Studebaker Drivers Club Meet, Springfield, MO. June 23, 2011. 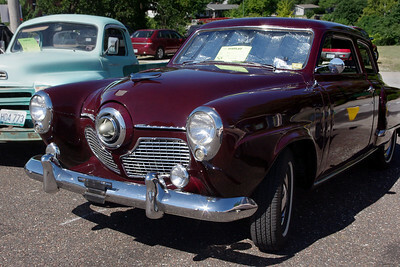 1951 Studebaker Commander. 47th Annual Studebaker Drivers Club Meet, Springfield, MO. June 23, 2011. 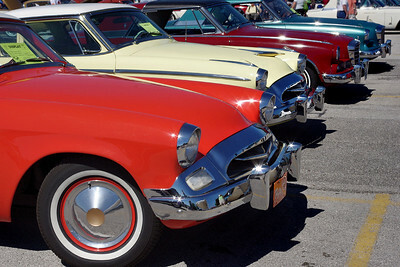 I didn't get the model specifics in my notes, but these appear to be Studebaker Champions from about 1953-54. 47th Annual Studebaker Drivers Club Meet, Springfield, MO. June 23, 2011. 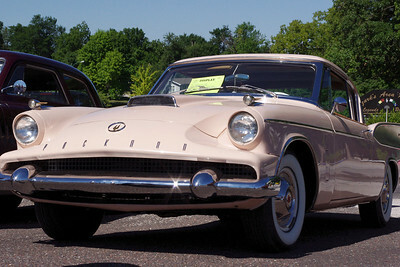 1958 Packard Hawk. 47th Annual Studebaker Drivers Club Meet, Springfield, MO. June 23, 2011. 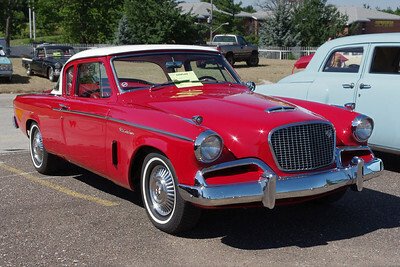 1958 Studebaker Power Hawk. 47th Annual Studebaker Drivers Club Meet, Springfield, MO. June 23, 2011. 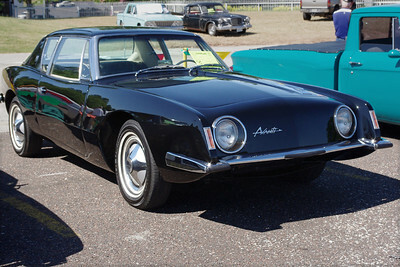 1963 Studebaker Avanti. 47th Annual Studebaker Drivers Club Meet, Springfield, MO. June 23, 2011. 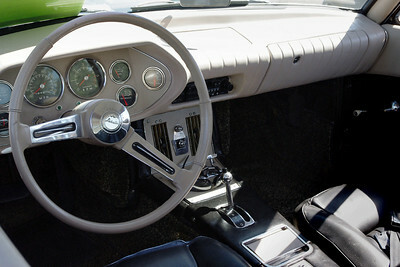 1963 Avanti dash detail. 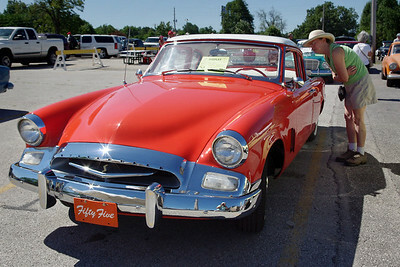 47th Annual Studebaker Drivers Club Meet, Springfield, MO. June 23, 2011. 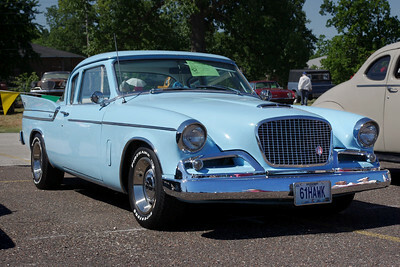 1961 Studebaker Hawk. 47th Annual Studebaker Drivers Club Meet, Springfield, MO. June 23, 2011. 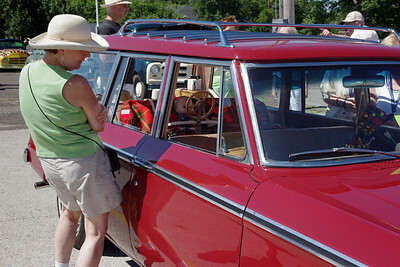 Rita checking out a 1964 Studebaker Wagonaire. 47th Annual Studebaker Drivers Club Meet, Springfield, MO. June 23, 2011. 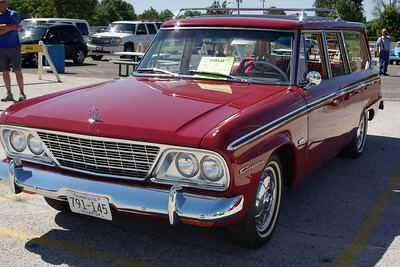 1964 Studebaker Wagonaire. 47th Annual Studebaker Drivers Club Meet, Springfield, MO. June 23, 2011. 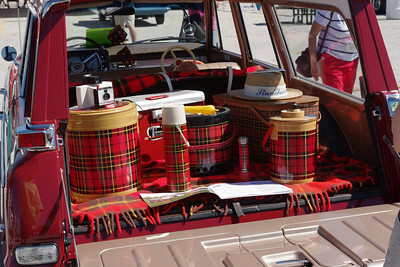 1964 Studebaker Wagonaire, ready for a road trip. 47th Annual Studebaker Drivers Club Meet, Springfield, MO. June 23, 2011. Stretch Studebaker pickup seats six in comfort. 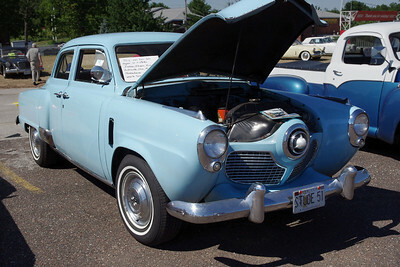 Rita checks out the 1955 Studebaker Commander Coupe. 47th Annual Studebaker Drivers Club Meet, Springfield, MO. June 23, 2011. 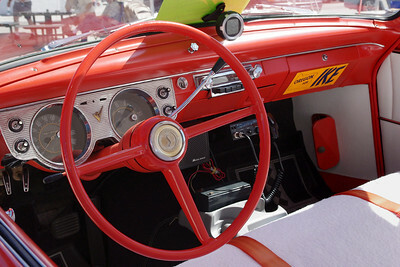 1955 Studebaker Commander Coupe, dash. 47th Annual Studebaker Drivers Club Meet, Springfield, MO. June 23, 2011. 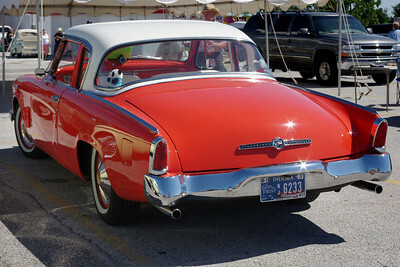 1955 Studebaker Commander Coupe, rear view. 47th Annual Studebaker Drivers Club Meet, Springfield, MO. June 23, 2011. 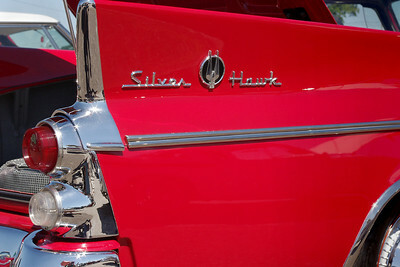 1959 Studebaker Silver Hawk, tail fin detail. 47th Annual Studebaker Drivers Club Meet, Springfield, MO. June 23, 2011. 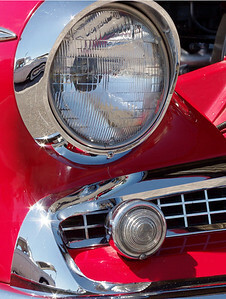 1959 Studebaker Silver Hawk, headlight detail. 47th Annual Studebaker Drivers Club Meet, Springfield, MO. June 23, 2011.